A2 | 1, 2 & 3 bedroom apartments available for rent at The Reserve at Ellis Crossing. Pets allowed: One time Fee $400.00, Rent $20.00; Comments: There are no weight restrictions, but breed restrictions do apply. Please contact us for details. 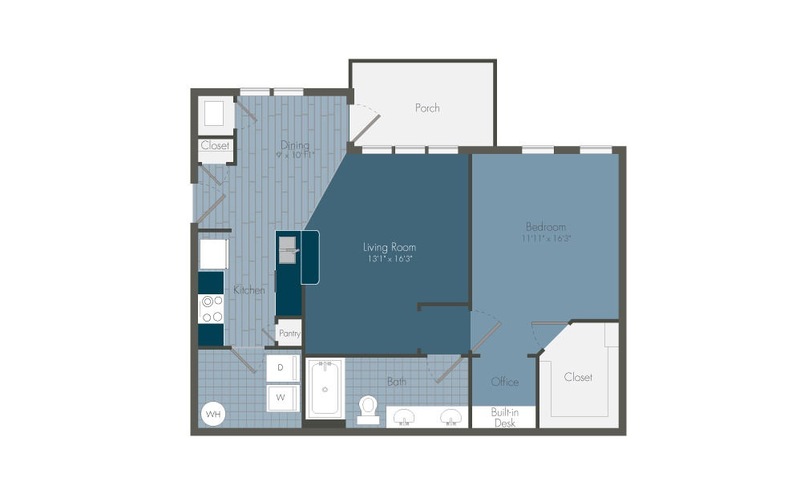 1 Bed | 1 Bath | 865 sq. ft.
© 2019 The Reserve at Ellis Crossing.